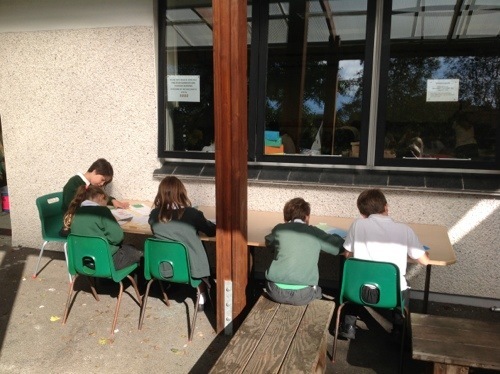 Class 4 have already started using their new outdoor desk. Thank you to Mr Andrew who made it for us. It has been made from recycled materials from our school.